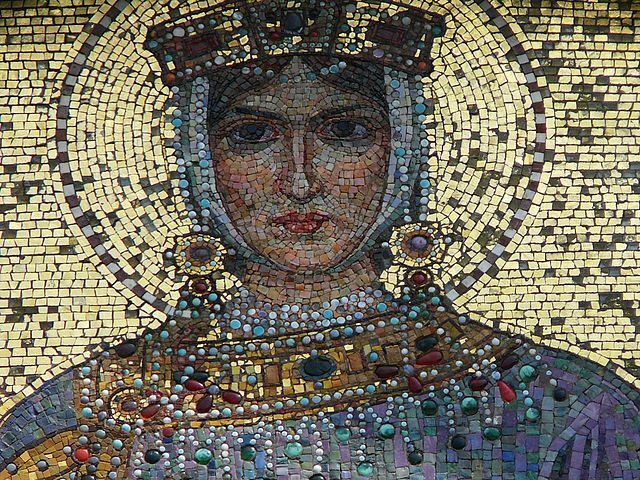 Aelia Eudocia Augusta was a Greek Eastern Roman Empress by marriage to Theodosius II, and a prominent historical figure in understanding the rise of Christianity. Eudocia and Theodosius II had three children - Licinia Eudoxia, born in 422, was the oldest and would go on to marry her cousin the Western Roman emperor Valentinian III. The other two died young. In 443 AD, she was banished from court and her faith for suspected adultery, and she spent the rest of her life in Jerusalem, until she died in 460 AD.